Margaret Mc Kenna Mullan is back with her play All for the Love of Mammy, showing at Tuar Ard Arts Centre in Moate on Saturday, October 7, from 8pm. The play is a humorous and touching play about the relationship between mother and daughter. Roles are reversed due the daughter becoming carer and protector of her ageing mother. 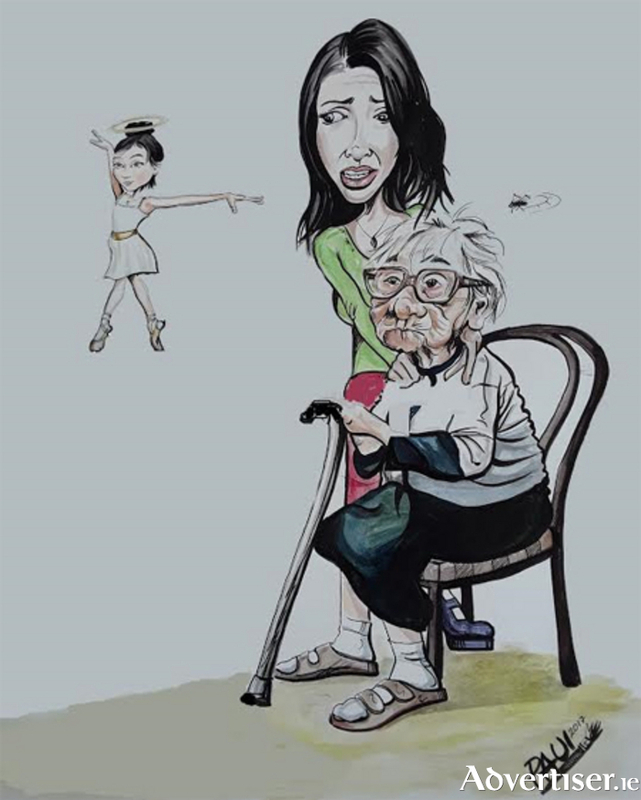 The play depicts the humour and sadness between the pair as Alzheimer's and dementia overcome their lives. Renowned director, Jackie Madden, takes this play skilfully from the page to the stage, with stellar performances by award-winning actress Ann Hoey as concerned daughter Angela. Do not miss All for the love of Mammy at Tuar Ard Arts Centre on Saturday, October 7. For more information or to book a ticket call (090 ) 6482042. Page generated in 0.0871 seconds.